Monthly finance charges never sound like a good thing. 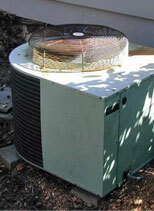 What if there was a way to stick with your current budget and have a brand new A/C Unit? Well using a higher SEER unit this is a very real possibility. The amount of savings generated from your lower monthly electric bill could very well take care of any finance charge. Imagine - a cooler house, with a better unit, at your current budget.